You are here: Home / Holidays / Back to School / Tame the Schoolwork with a Duck Tape Art Portfolio! The school year is almost over! 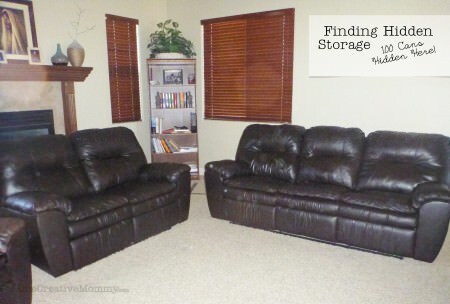 Either your kids have been bringing it home all year, or they are about to bring home piles of artwork and projects that have been collecting at school all year. You can’t possibly keep it all, and what will you do with the work you want to keep? 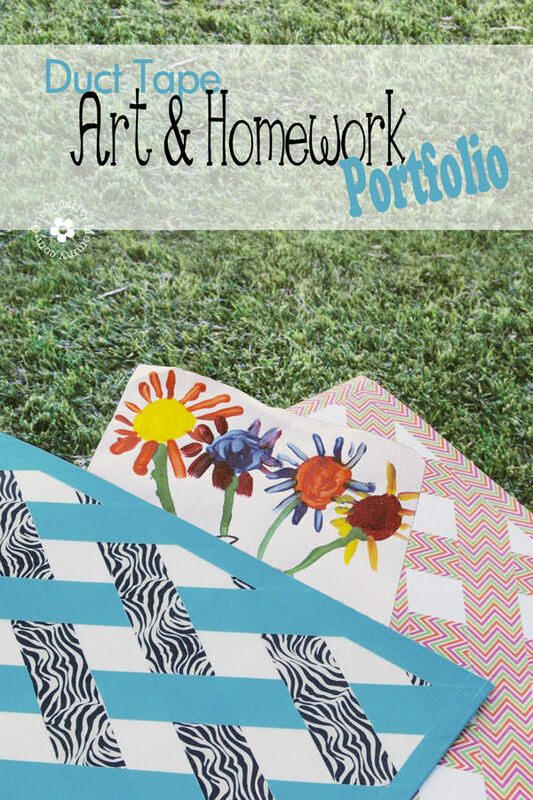 How about creating a fun portfolio where the kids can stash their best work? Check out my Duck Tape Art Portfolio, and give it a try with your kiddos! Fold the short sides of the poster board together to create a pocket. Before you tape the pocket together, create your design with the duck tape. Try stripes, checkers, random–whatever your kiddo likes! 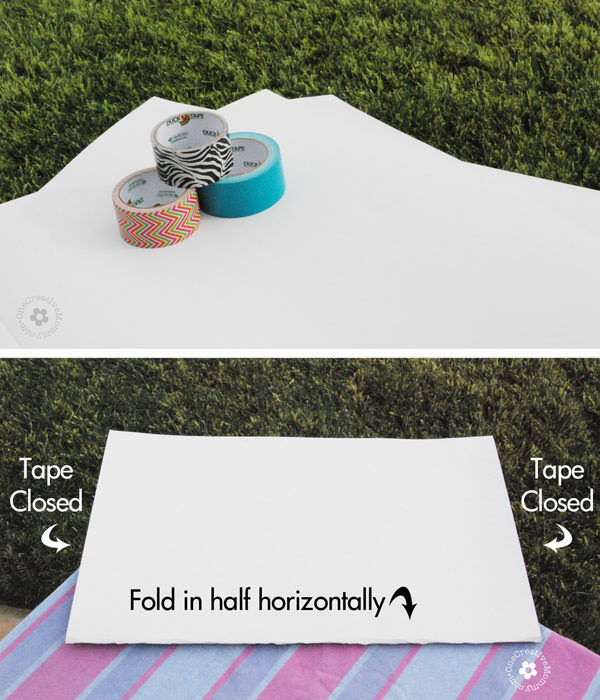 Tape together each side of the pocket. This time you are taping the two sides together. If desired, tape across the bottom fold. 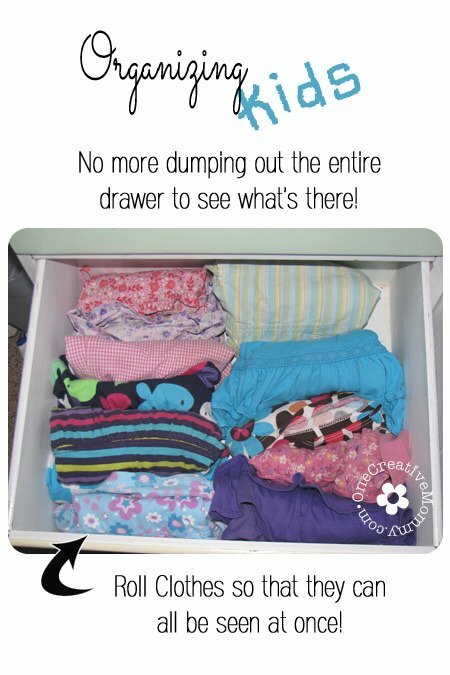 Let your kids go to town and decorate the portfolio however they’d like! Now, here’s the most important part: Teach your kids that THIS PORTFOLIO IS FOR THEIR VERY BEST WORK. They can throw away the rest! For me, that last part is the most difficult! I think my kids inherited my Pack Rat instinct! Actually, these have been really successful. We made them last year, and the girls have been filling them with art and special papers all year. When summer begins, we’ll go through and narrow down the favorites. Want more fun with duck tape/duct tape? Try updating your scooters! It’s been one of our most favorite projects yet. 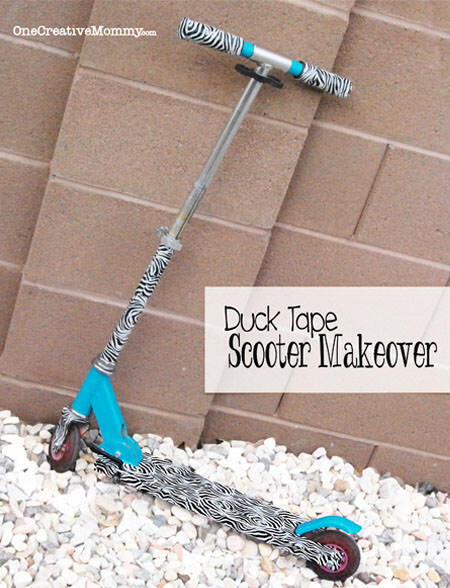 Duck Tape Scooter Makeover–From Barbie Scooter to Awesome Tween Scooter! Heidi, I absolutely LOVE this project. 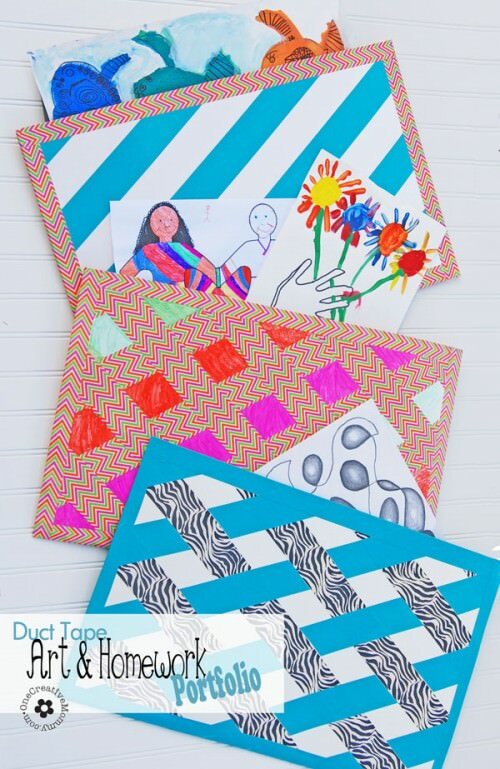 It’s such a fun way to kids to keep all those masterpieces and the duck tape gives the folder staying power! You are so clever! Thanks so much, Marilyn! The kids had fun making them, and I catch them pulling out all of their “masterpieces” once in a while to review what they’ve done. I think they really enjoy looking at their work. Aww the wonders of duct tape! That’s so smart to create an oversized portfolio which can hold all sizes of projects. Thanks for sharing on Hump Day Happenings! 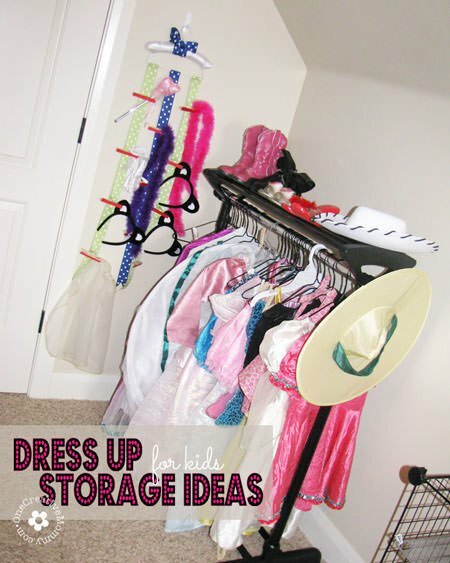 Heidi, what a great idea to have special and creative place for all of the artwork – plus a fun project for the kids! Thanks so much for sharing at Best of the Weekend and pinned – hope you’re having a great week! Thanks, Cindy. The kids really like it.